The National Capital Authority appears to have added the historic Lobby Restaurant in Parkes to the menu of Commonwealth property sales in the Parliamentary Triangle. The Lobby and its sister the Pork Barrel Cafe closed in December last year and have been idle since. The NCA is believed to be readying the iconic property for sale including gathering photographs for the sales agent to use in a marketing campaign. The NCA was approached for comment but did not respond to a series of questions. The Lobby Restaurant was launched almost 50 years ago to serve MPs and staff from Parliament House across the road, and has been a witness to major political intrigues and events, as well as being a landmark dining destination. The iconic main restaurant first opened in 1968 and in recent times had transformed into a function centre, being a favourite choice for the capital’s weddings, with the nearby National Rose Gardens providing the perfect backdrop for photo shoots. The move comes soon after the sale of West Block opposite to local developer Geocon, which plans to convert the building into a luxury heritage hotel. It was one of six buildings, including East Block which houses the National Archives of Australia, identified by the Commonwealth for sale to the private sector. 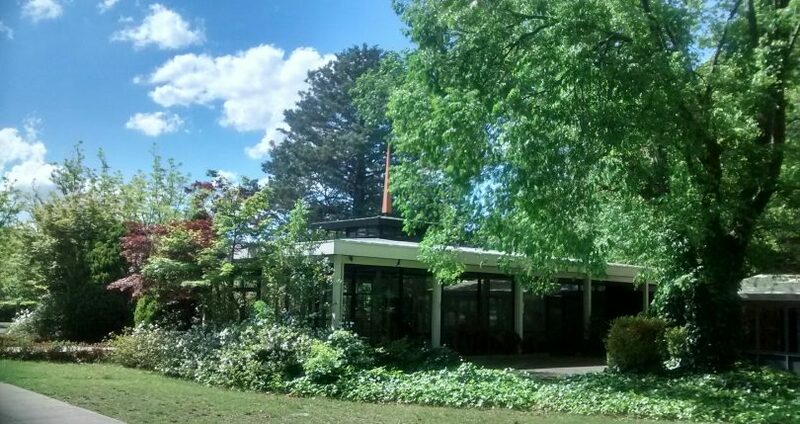 The NCA’s Heritage Plan for Parkes Place and the National Rose Gardens, says the NCA will promote the conservation of the Lobby Restaurant building consistent with its currently understood heritage values and any future revised understanding. “The conservation of the Lobby Restaurant should seek to be mutually consistent with the conservation of Parkes Place,” it says. The Lobby Restaurant is on the Register of the National Estate but not the Commonwealth Heritage List, and there is no separate conservation management plan. In January more than $300,000 worth of shop fit-out from the Lobby, including tables, chairs, glassware, crockery and catering equipment was auctioned unreserved on Allbids. Allbids CEO Rob Evans said then that it was the end of an era. “It was the only restaurant of its kind and has been around for longer than New Parliament House,” he said.